Nestled amongst the trees with park in backyard! 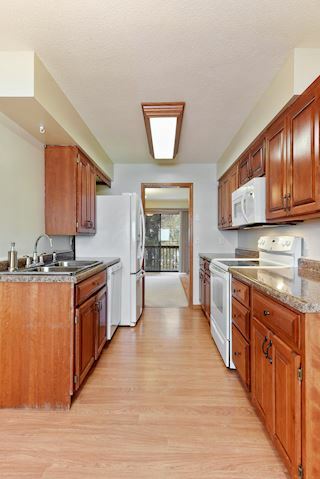 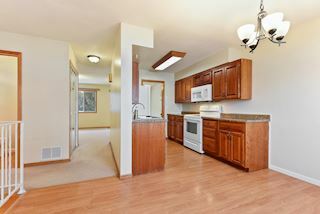 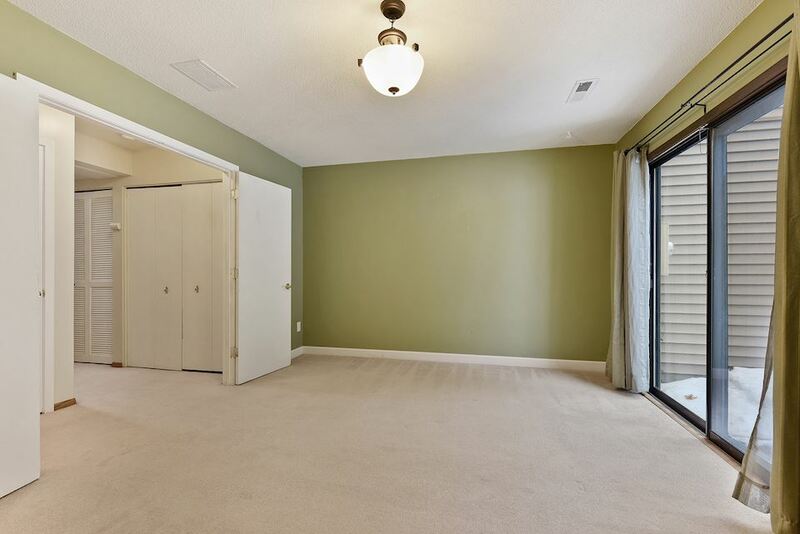 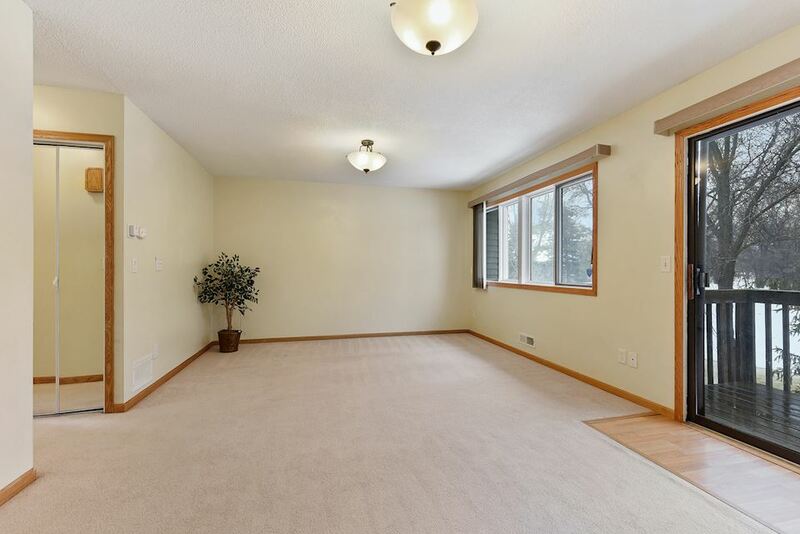 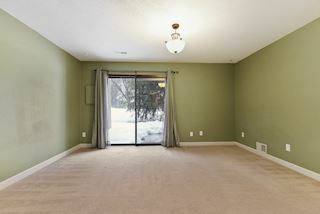 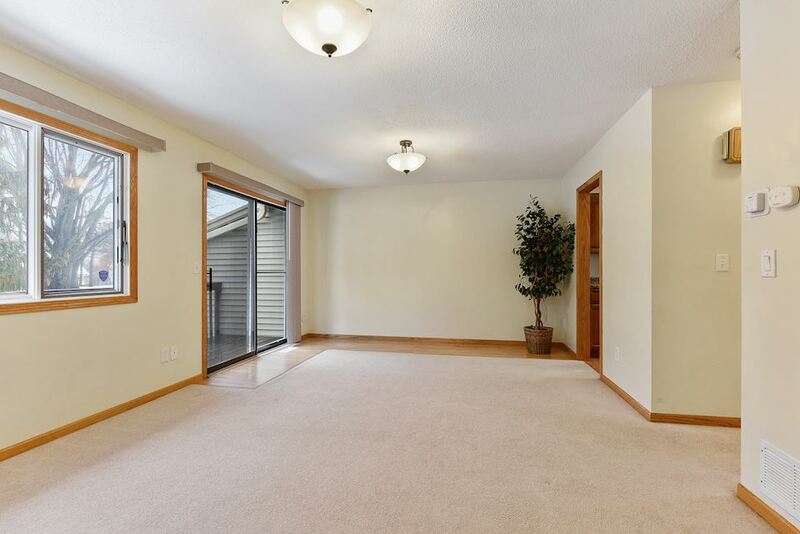 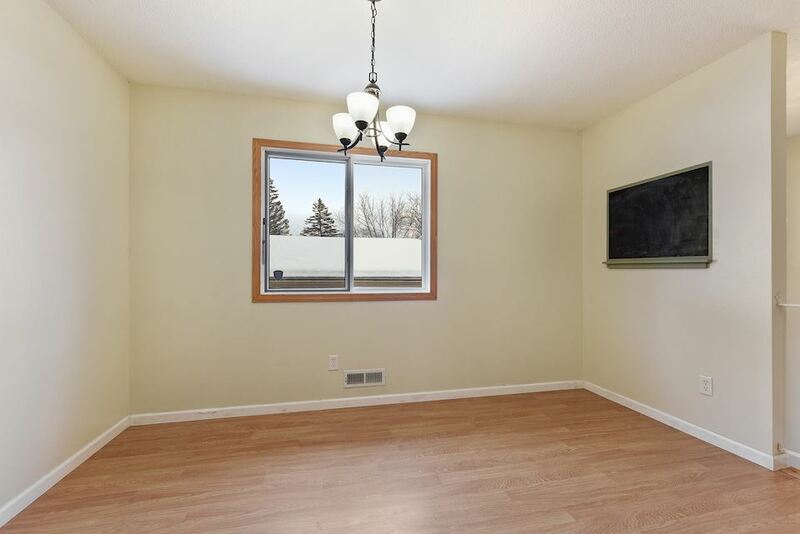 Carefree laminate flooring plus newer carpet gives a cozy move-in ready vibe. 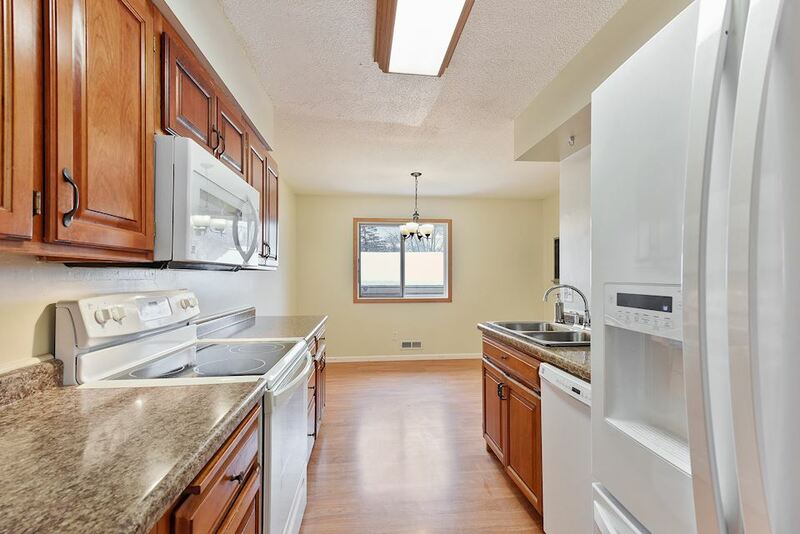 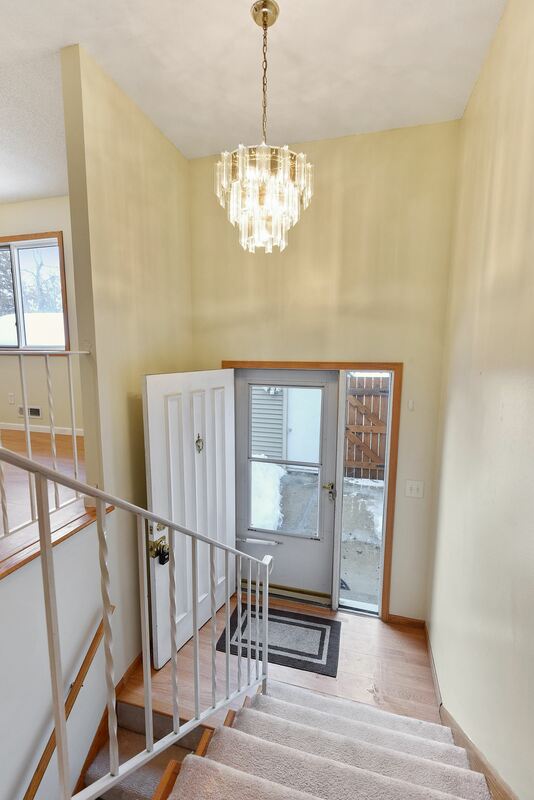 Amazing natural light throughout plus updated interior paint and lighting. 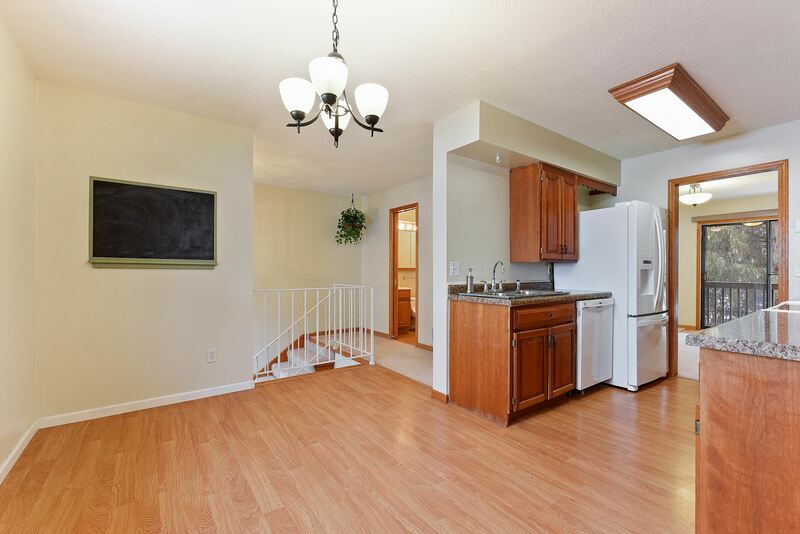 Eat-in kitchen has granite counters with informal dining area overlooking private courtyard. 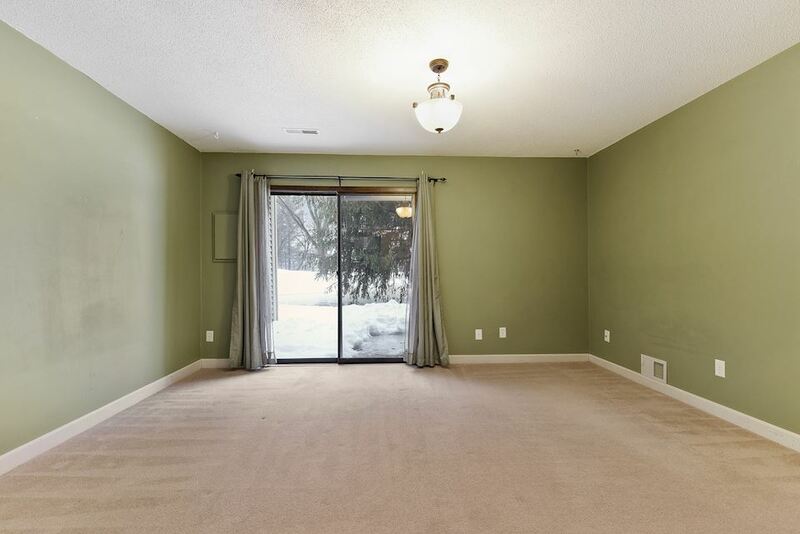 Upper level family room with sliding doors to deck. 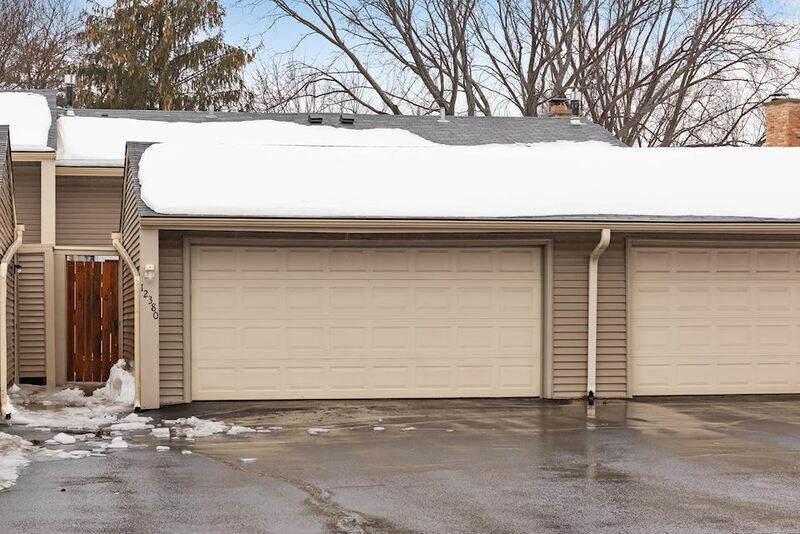 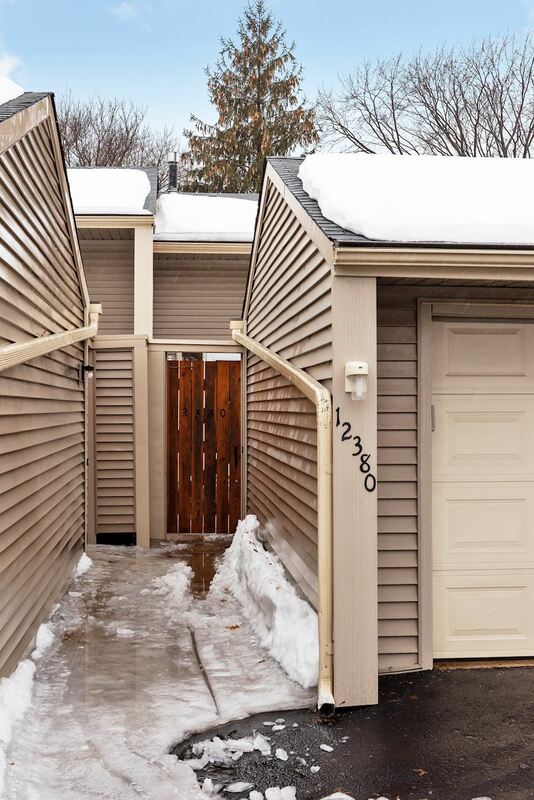 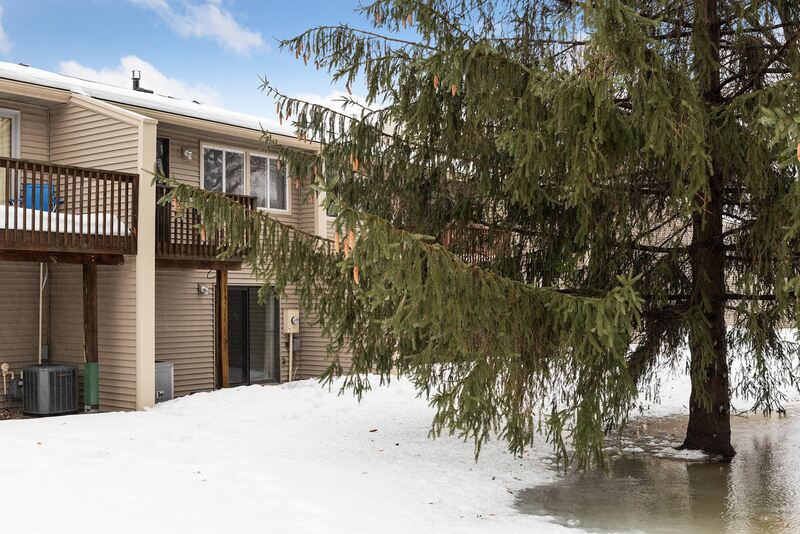 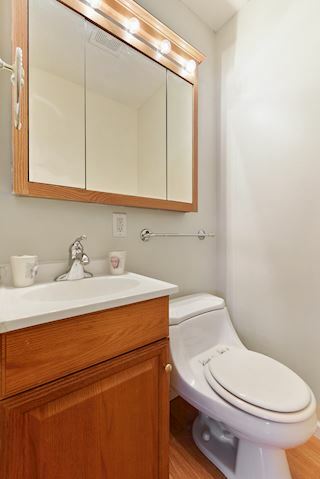 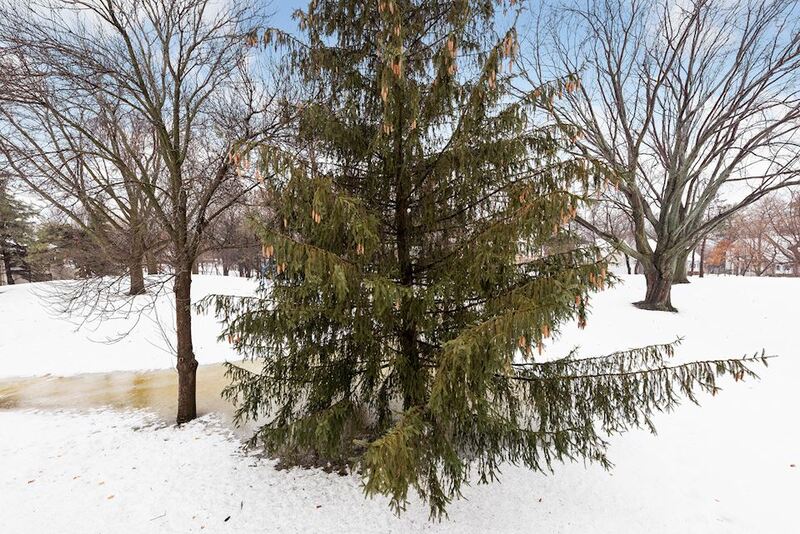 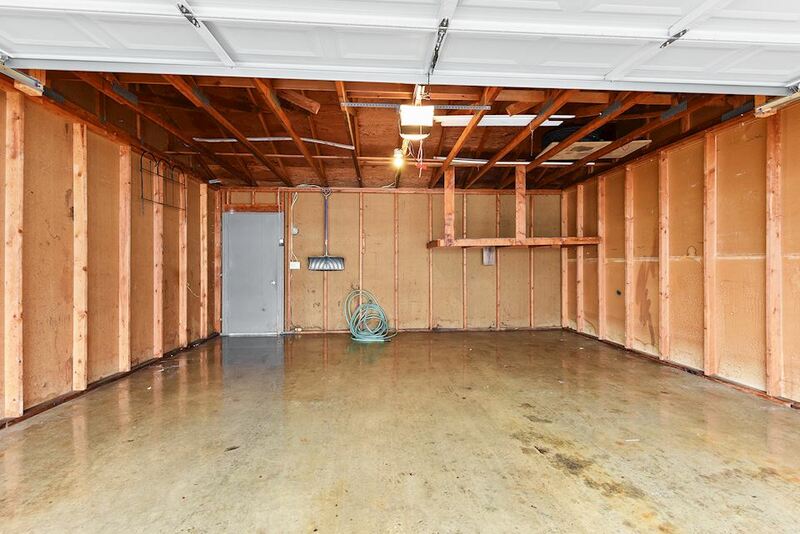 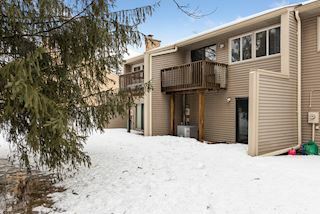 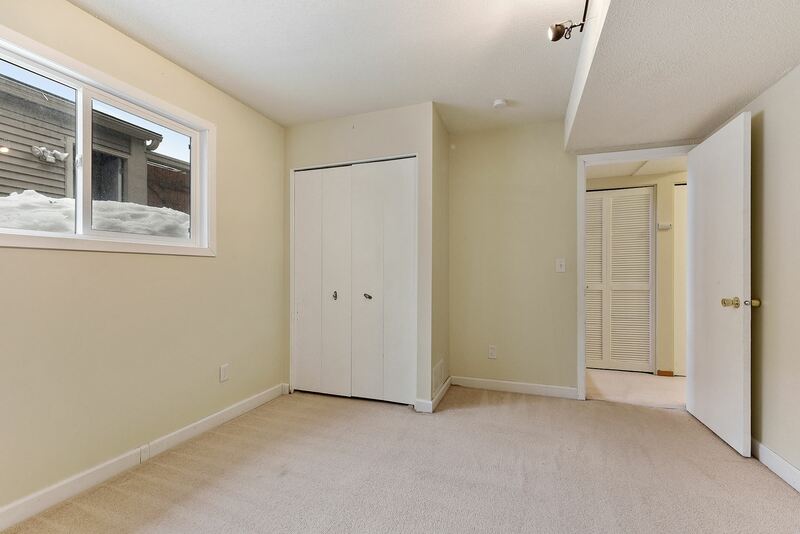 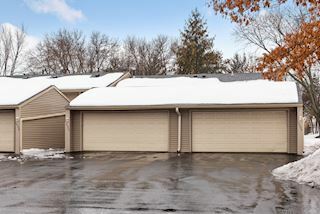 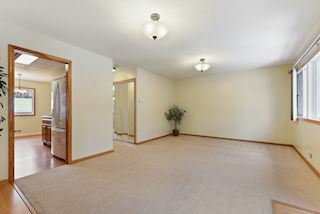 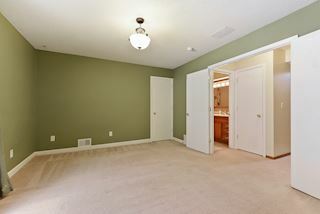 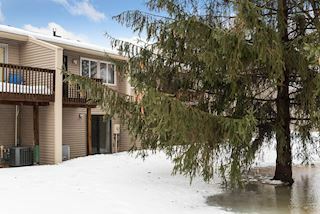 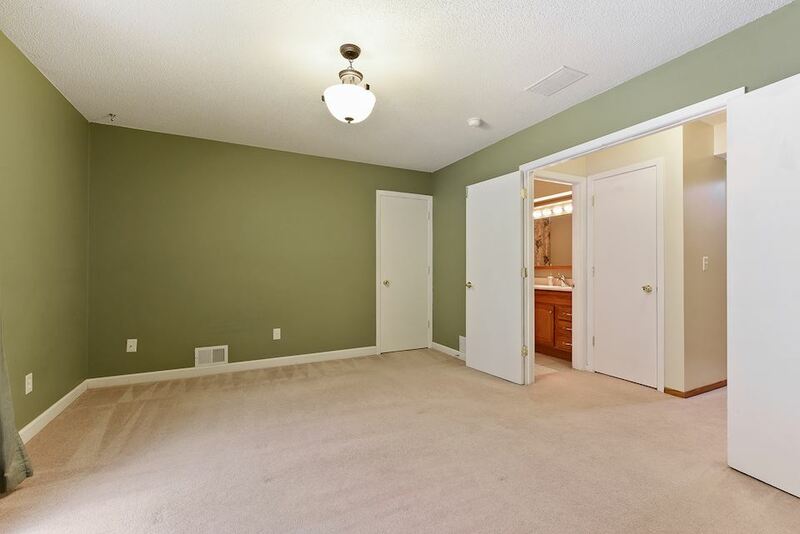 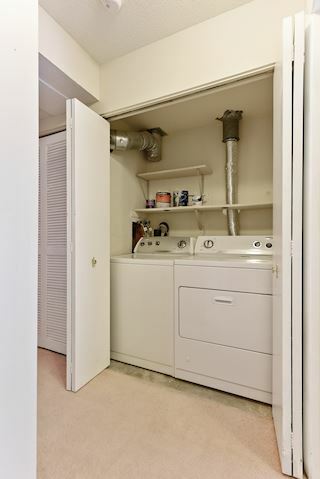 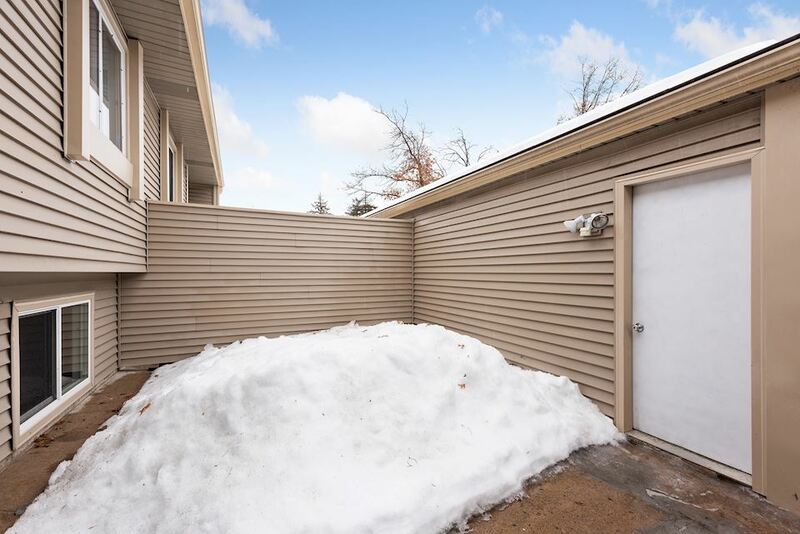 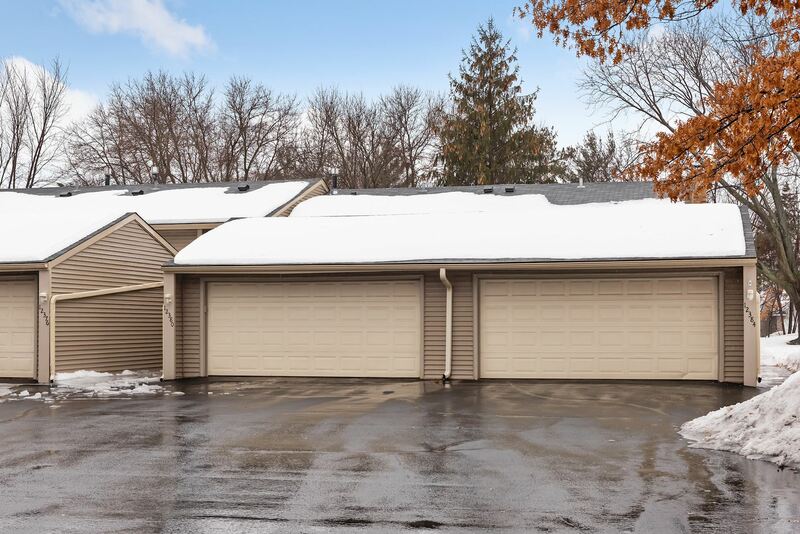 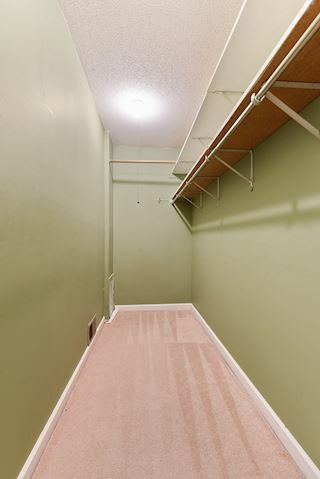 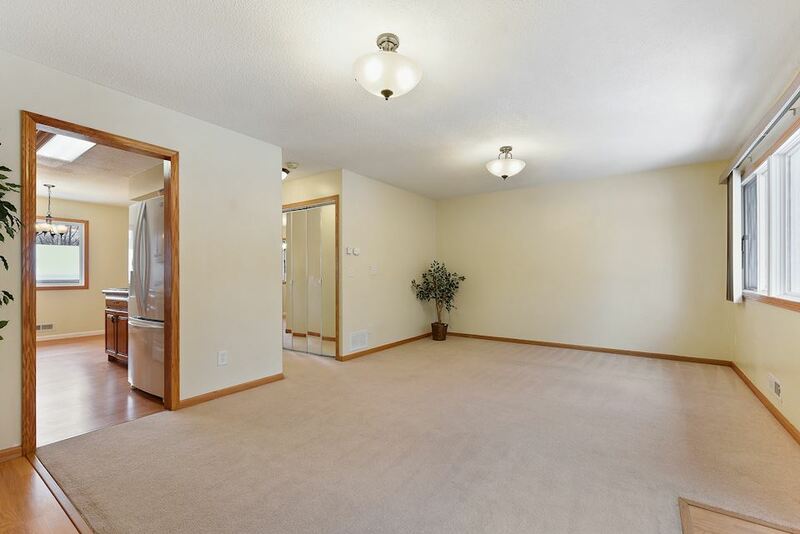 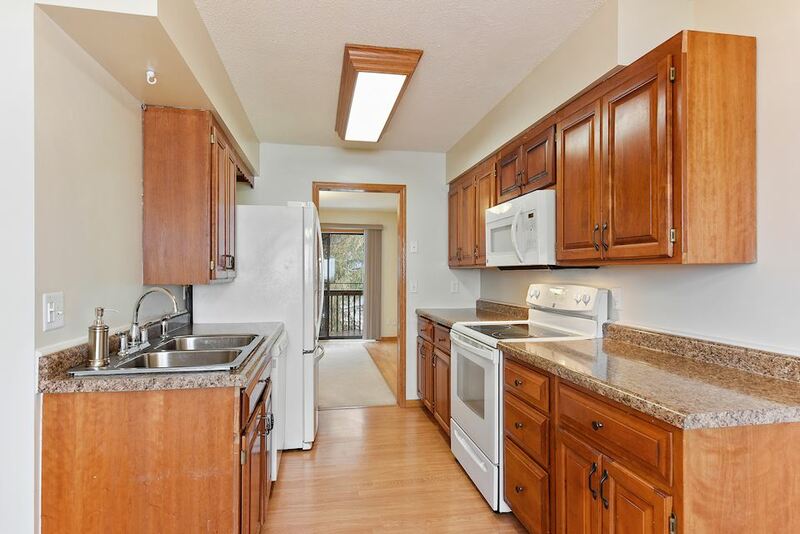 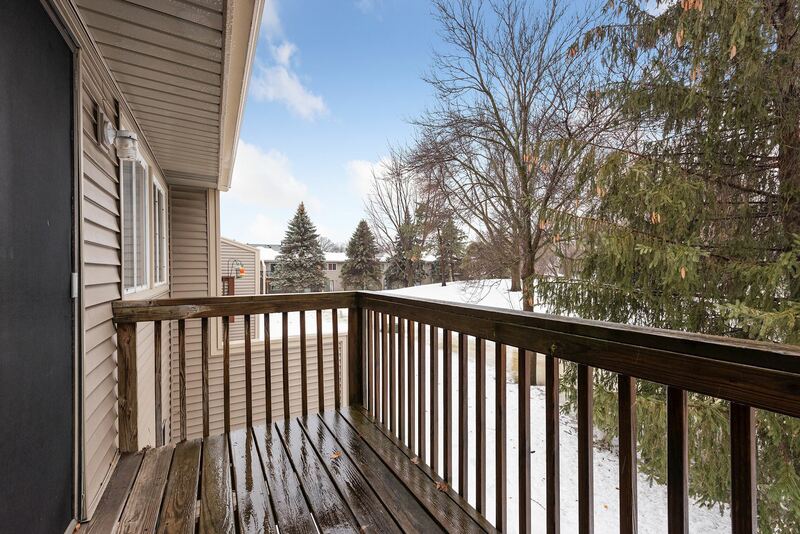 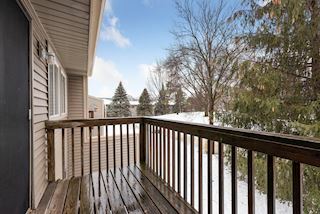 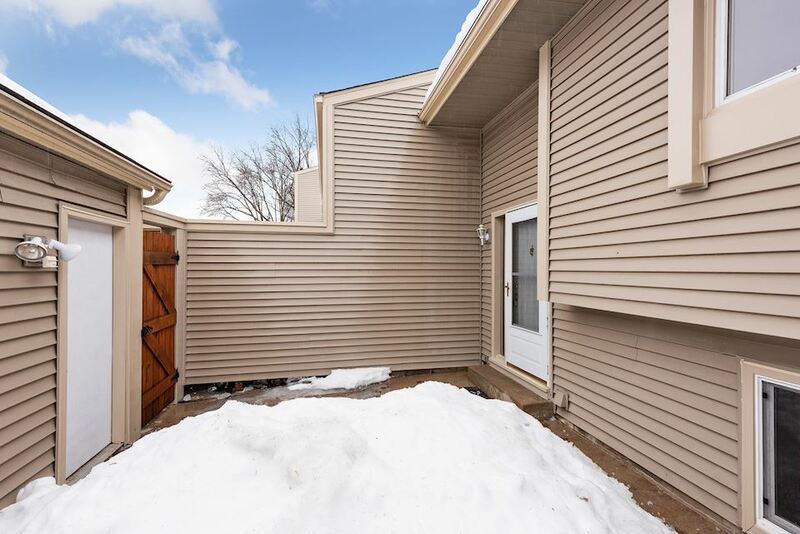 Lower level owner’s suite has spacious walk-in closet plus bonus walk out access to backyard. 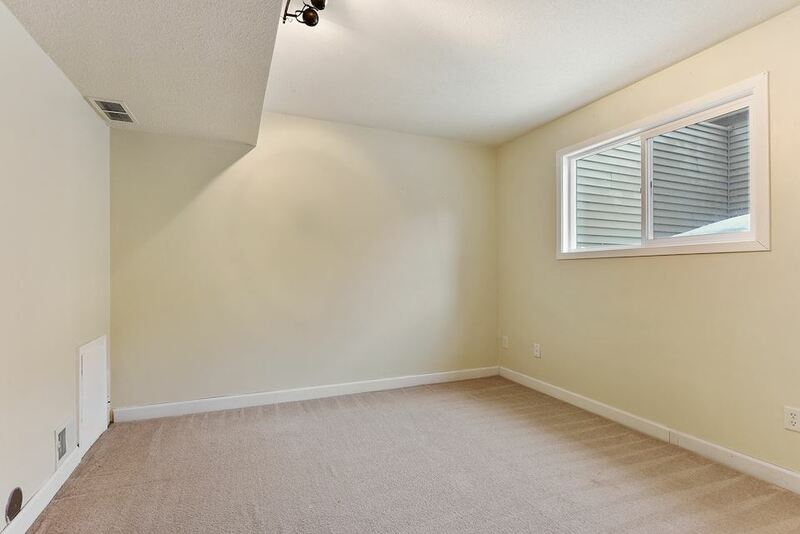 Other bedroom includes crawl space for extra storage. Lower level full bath has tile floors and shower back splash. 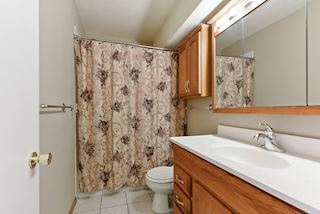 Professional management. 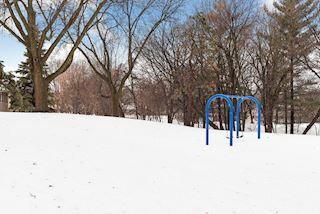 Nearby Mississippi River, parks, and trails.